Patients who are missing many or all of their teeth should consider dentures. Dentures can effectively restore your smile. With dentures, you’ll be able to speak, chew, and laugh freely. You no longer need to feel self-conscious about your missing teeth. 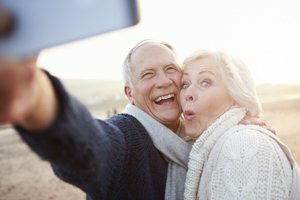 Dentures can give you a full, functional smile again! At King Dental Group, we want to help each and every one of our patients feel comfortable with their smile. That’s why we strive to provide superb dentures. We work hard to give our patients dentures that look natural and real. Your peers shouldn’t be able to tell you’re wearing false teeth! High-End Custom Dentures: At King Dental Group, our traditional dentures are customized to the specifications and measurements of your mouth. This ensures a secure fit to avoid slipping and sliding. We can create partial or complete dentures for you. Experience comfortable dentures at King Dental Group! Implant Supported Dentures: Implant supported dentures use dental implants as a solid anchor for a permanent denture solution. Because your dentures are anchored with implants, you will never have to worry about slippage, clicking, or your dentures accidentally falling out. All-on-4 Dentures: All-on-4 dentures are a kind of implant supported dentures. You’ll have 4 implants placed in both your upper jaw and lower jaw. 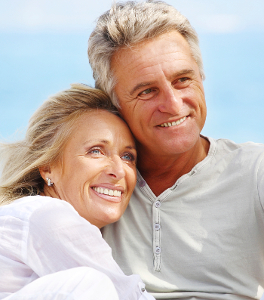 Our All-on-4 dentures can be placed in as little as 24 hours! Dr. King and our team will work with you to determine which denture option would best fit your needs. We serve patients from the Santa Barbara, Montecito, and Goleta areas. If you would like to learn more about our denture services, give our dentistry practice a call! We would be happy to address any questions or concerns you may have. Schedule a dental appointment today!